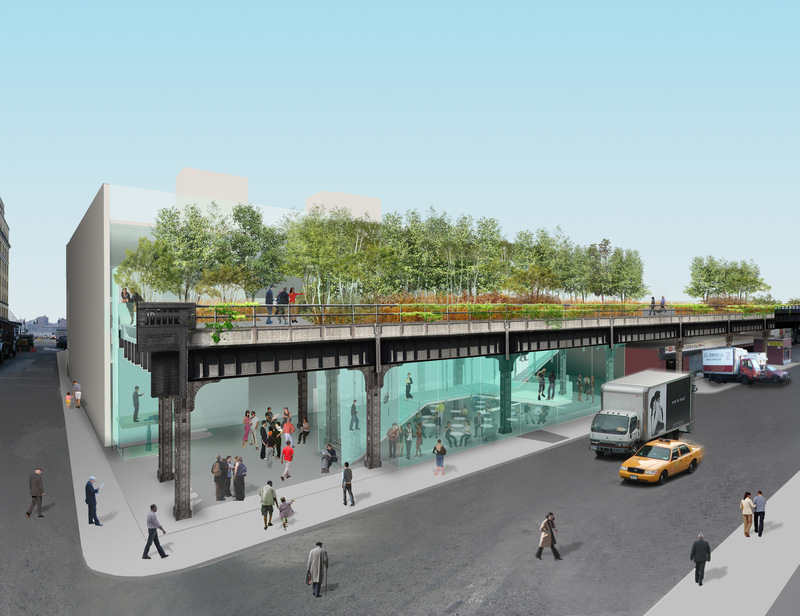 Rendering of High Line Elevated Structure, affected in a follow-up zoning action in West Chelsea. All images created by Field Operations and Diller Scofidio + Renfro. Permission to reproduce images: courtesy The City of New York, (c) 2004. Boundaries, frontage, easement access and lot coverage modified for High Line and Special West Chelsea district. In June 2005, the City Council approved several applications related to West Chelsea including the establishment of a Special West Chelsea District to support development of the High Line elevated public space, art galleries, marketrate housing, and affordable housing. 2 CityLand 83 (July 15, 2005). Public review of the proposed text amendments identified the need for additional modifications. On October 27, 2005, the Planning Department filed an application for a Follow-Up Corrective Action, or FUCA, proposing modifications to the text amendments. The proposal clarified the boundaries, lot coverage calculations, and access requirements for the High Line Improvement Area; reduced minimum allowable frontage for development along the High Line; and identified Parks as the agency responsible for High Line maintenance and inspection. The proposal also added anti-harassment provisions similar to those created for the neighboring Special Hudson Yards District. 3 CityLand 5 (Feb. 15, 2006). The Commission unanimously approved, finding that the application addressed needs identified during the approval process of the prior text amendments. ULURP Process: The Planning Commission, as lead agency, issued a Notice of Minor Modification. Community Board 4 approved unanimously with the condition that the Planning Department increase the minimum streetwall in certain areas. Manhattan Borough President C. Virginia Fields did not submit a recommendation.